recommended for: Fans of Shadows of Blackbirds by Cat Winters, A Madness So Discreet by Mindy McGinnis, and other dark, atmospheric historical mystery. A mysterious island. A scientist in disgrace. A rebellious daughter. A tree that trades truth for lies. It's a setup for a supernatural historical mystery worthy of Cat Winters, but with Frances Hardinge's own flair. Even if you don't love historicals, this one will satisfy your craving for a good twisty mystery. When Faith's father dies, she knows it's a murder but she can't prove it--certainly not without revealing her father's secret tree. But everyone else is keeping secrets too, and Faith's journey to solve the crime is thrilling, full of twists and so many suspects that you'll be guessing until the end. Unless you're cleverer than me, I guess, in which case good for you. If you do like historicals, you'll really appreciate the attention to detail. Hardinge brings the 1800s to jarring life, and it's the little details that really smack of authenticity. Training corsets. Animal magnetism theory. Church boxes and sinner's funerals. Her command of 19th century culture and language would make Jane Austen proud, but it's still accessible enough for a modern reader. There's no "mysterious boy"! Seriously, when was the last time you read a good exciting young adult novel where the focus wasn't on romance? Faith doesn't have time for that crock. She's too busy going around being a badass spy and using her womanly invisibility to trick the culprits into revealing themselves. Seriously, Faith is awesome. At 14, she's younger than your average YA heroine but precocious, mature for her age. 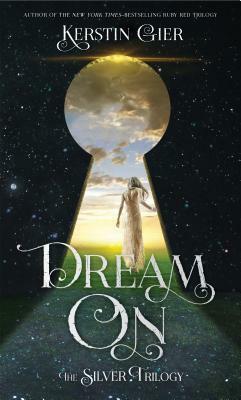 She's clever and ambitious, and heartbreakingly desperate for her father's approval. There's also a sinister side to her, a side that uses her cleverness to concoct lies that spiral and damage and ruin. And she may feel sorry, but she won't stop until she gets the truth. I really relished her hardheartedness. Gotta love a good character flaw. And the other characters are fabulous, so multilayered and fantastically Regency. There's Paul, the mischievous and malicious curate's son with a love of the macabre and a softer heart than he shows. Faith's mother, vain and superior but cleverer than anyone credits her. Faith's father, brilliant and cold behind the pastor's cloth. the other naturalists, variously scheming and bumbling and abrasive. Oh, and POSTMORTEM PHOTOGRAPHY. Swoon. It's like a game of Clue! Was it the conniving brother-in-law? The bedraggled wife? The jealous naturalists? Or was it suicide caused by shame? It'll haunt you in your dreams (literally, if you're me). 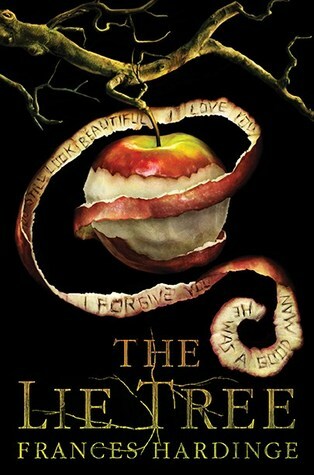 Seriously, when was the last time you read a book about a tree that feeds on lies!? If you're looking for something well-written, fast-paced, magnetically absorbing, and completely out of the ordinary, you've got to get your hands on it. This Lie Tree is a sparkling, sinister mystery that captures the imagination with a twisty mystery, macabre atmosphere, and surprising magic. You've got me very excited about this one. I hadn't seen it before! And Cat Winters is my favorite and I loved A Madness so Discreet. I've added this one to the top of my list. Thanks! I was wanting to read this one every since it won that children's award, but your review has me even more intrigued! Will definitely make a point to check it out. My mom picked this one up at BEA - and she will fully admit that she did it based solely on the beauty of the cover, so she was excited to see that you loved it! Now I'm looking forward to reading it too! !